These six best VR apps will turn your Android and iPhone into virtual reality experiences you have never imagined before. 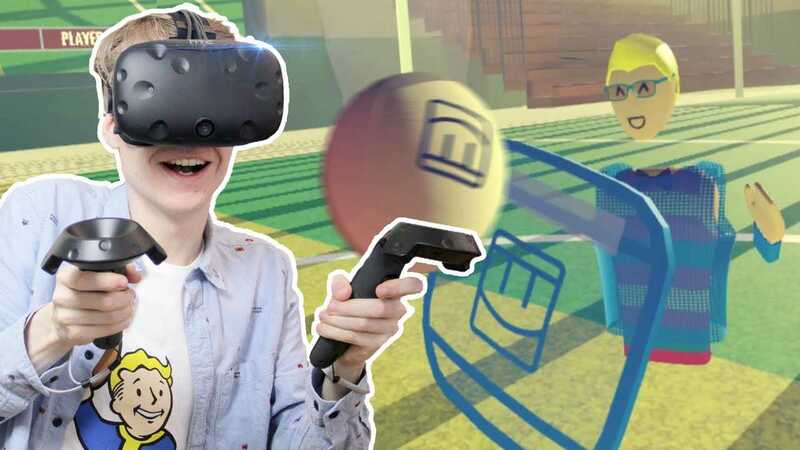 In this post, we have curated the best VR apps that have used by a VR YouTuber, Nathie, who mostly use his HTC Vive to play VR games. Nathie once said, through YouTube, he wants to share the magic of Virtual Reality for all people. And, we, here, want to be the bridge to help you get the HTC Vive’s vibe on your mobile phone. So, just like Nathie always said, let’s a go! This is the heartwarming 360 movie that will make you cry. You can find this story on your YouTube up or just click below. Wear BeThere Book to get the perfect view of this video. Yes, you can explore this beautiful object with your mobile phone and an affordable virtual reality headset. Teleport yourself to Rome, hold a beating heart, or walk among dinosaurs. Open Sketchfab VR with Google Cardboard to discover a showcase of explorations through remote places, fantastic creatures, game worlds, cultural heritage, science and other wonders. Download on Play Store and App Store. Though the golf VR app for the mobile phone is not the same with the video, at least, it has the same concept. See you in a virtual golf club. GolfVR dives you in an immersive and pleasant environment where birds and water flow sounds will have a relaxing effect while you’re playing Golf. Only the wind on your hair is missing! You don’t need any golf skills to play this game, come and try our challenges or soothe you on our golf course. This is probably how the future social media will look like. The best news is, yes, it’s ready on your mobile phone, works with BeThere Book. vTime is the world’s first sociable network in virtual reality on mobile. Completely cross-platform, vTime is now available for Google Cardboard for a limited number of devices. There is one similar VR app on your Android and iPhone called Final Kick VR. Enjoy the tense moments of the penalty shots as if you were playing in a Football final, competing against the best teams, making the most spectacular goals and saves and along with graphics that will make you feel as if you were actually in the match. Perfect your special shots, shoot with special effects, fool your opponent and make the most impressive saves and become the World Champion. Download Play Store or App Store. This is what we’re just talking yesterday: Haunted Rooms Escape VR. Not the same VR app, but it has the same concept. You just woke up in a dark isolated room… No memories, no clues… Why are you here and what happened to you? Is it night is it day… where I’m I? Unravel the sinister plot by escaping from room-to-room. Your wisdom and determination to survive will be your last lifeline… be ready to overcome your fears! Are you ready to turn your mobile phone into a virtual reality experience? Like Nathie always said, see you in a meta verse!